We are glad to inform you that booking for the season 2019 has already begun. 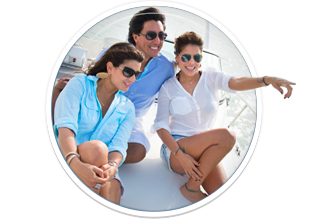 Don’t miss the opportunity to book your favourite boat available at very discounted prices with the maximum early booking discount. Croatia is one of the favorite charter destinations for many yachtsmen, known also as a sailing paradise. It is famous for its incredible natural beauty, indented coastline, favorable winds and the hospitality of its people. Croatia is a world famous destination when it comes to nautical tourism! 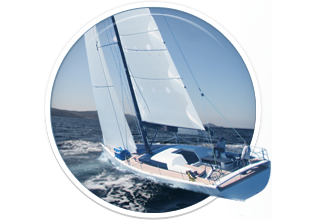 With the biggest choice of boats in Croatia, CharterCroatia.net is the place to go if you’re looking for a boar rent, and sailing in Croatia. Croatia is one of the leading yacht charter and sailing destination in the world. Nautical tourism in Croatia rapidly developed since the 90's and today all types of charter holidays are at disposal to more or less experienced sailors and sailing fans. The most famous regions for boat rental are Split area, Dubrovnik area, the heralded Kornati archipelago(Zadar and Sibenik area), and large Kvarner Bay which is breath-taking for most first time sailors. Easy booking - only 3 STEPS. With the biggest offer of yachts for charter in Croatia (over 2000 sailboats, 150 catamarans, 100 gulets, 100 motorboats and luxury yachts). Being here and reading this tells us that you have already made the most important step in making your dream holiday come true! You recognized CharterCroatia.net as a Yacht Charter specialised solely in Croatia with an aim to give you a holiday to remember. Croatia has 56 marinas with 16.000 berths in the sea and 8.500 dry berths on the mainland and another 30.000 berths in harbors and ports. Croatian marinas are working permanently to improve and enrich their services and to adapt to modern needs and wishes of their guests. They are located in large cities and in the beautiful coves on the islands very close to the most interesting natural and cultural attractions. Choose a start point for your yacht charter holiday. More than 45 routes from 15 marinas in Croatia. Find out more information (photos and description of every place) about our routes on interactive map by clicking on them. 7 and 14 days routes from Split, Dubrovnik, Zadara, Sibenik, Pula, Biograd, Primosten, Rogoznica, Baska Voda, Trogit, Opatija, Krk, Punat, Cres. Standard and one way routes available. Bareboat charter in Croatia is the most popular way of hiring the boats since it offer a unique opportunity of creating Your own sailing itinerary by choosing on Your own the places You would like to visit. It offers freedom and flexibility of exploring each day another bay, another harbour, another island according to Your own wishes.This can be very challenging experience because this way You and all passengers on board rely on Your own estimates and skills. Crewed charter in Croatia reffers to renting the boat with the crew service available on board. Crew is in charge of taking care of all the aspects conected to navigation, safety of all persons on board as well as for proper functioning of all the facilities on board. Boats available for crewed charter in Croatia can be hired skippered or fully crewed with 2 and more crew members. Boats available for crewed charter in Croatia are sailing boats, catamarans, motor yachts and gulets. CharterCroatia.net is one of the main companies that participate in the organization of the professional and amateur regattas in Croatia. Whether it is about the organization of a national championship with 50 boats or 10 boats regatta our main goal is to offer you an unforgettable sailing. In CharterCroatia.net we are true lovers of everything with taste, color and sound of the sea! We are always working hard to recommend the best destinations, boats, navigation resources and itineraries... All this and more can be found in our blog posts. If you decide to charter a yacht from Split with chartercroatia, you’ll more than likely wind up sailing Milna! You can charter a yacht anytime and sail to Milna with chartercroatia.net. 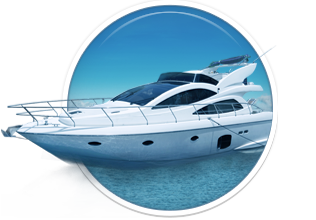 Just contact us or use our real-time yacht search engine! In today’s post, we chose to describe Telašćica bay sailing and all that it has to offer because we feel a bay like this deserves its own article. Getting there is simple with chartercroatia.net, you just book a yacht from Zadar and enjoy the cruise.